When the first Qantas 707 (VH-EBB) arrived in Sydney on 2 July 1959, it was Qantas Engineer Bill Fishwick who "rode the brakes" when the aeroplane was towed from the terminal to the maintenence area. Sadly this link with the history of the Qantas Boeing 707 was lost when Bill passed away peacefully in his sleep on 12 May. The following biography is drawn from the eulogy which was delivered at Bill's funeral on 17 May. For this we thank Bill's sister, Susan Fisher. Bill was born in Quirindi, New South Wales on 29 January 1937. He liked to joke that his parents were married on 27 January, but invariably omitted to mention that it was the previous year in 1936. He was the first child of Eric and Joyce Fishwick and big brother to Jim, Judy and Susan. Because Eric was a regular army soldier, Bill spent much of his early life moving around Central NSW. He lived at Mudgee where Jim was born, Bathurst, Lithgow, Orange and finally back to Quirindi where Judy was born. In 1947 the family moved to Sydney when he was 10 years old, Susan was born 2 ½ years later. Bill loved building model aircraft. At the back of the yard in Lakemba was a big paddock where he would fly his models. Once he started them up all the kids would jump the back fences to watch Bill fly them round ‘n round. It was so noisy and smelly but the kids loved it. At the end of 1951, Bill was 14 years old when he finished his school years at Tempe Boys Intermediate High School and started to look for employment. Bill was interested in all things mechanical. He saw an advertisement in the paper for Apprentice Aircraft Engineers with Qantas and was successful for the 1952 intake for a five year apprenticeship. Bill started the day after his 15th birthday, on the 30th January 1952. He worked at Qantas for the next 40 years before retiring at the age of 55. Bill's first car was a Soft Top Morris 8. He saved up the money and bought it after he passed his driver’s test, and he worked on the engine till it sang. In the late 50s Bill and Jim took up surfing, they both loved it and made their own wooden 9 foot surfboards. They would tie the boards to the top of Bill's car and head off to Cronulla Beach. The boards lasted 3-4 years before becoming waterlogged so Bill bought himself a Gordon & Smith fibreglass board which he recently handed on to Daniel, the partner of his niece Kirsty. Bill's next project was to build his own sailing boat. 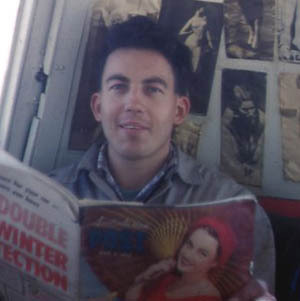 Like all young men, Bill was called up for National Service in 1957. He chose to serve in the Air Force and was stationed at RAAF Base Rathmines. Bill has always been very handy and he built a rocking horse and see saw for his great nephews. Bill acquired his Mother's sewing machine and with this he made a denim skirt for his 16 month-old niece Kirsty. During the eighties when Kirsty was growing up Bill made 16 of the popular Care Bears for her. When Kirsty was born, Bill's life changed forever. This tiny baby found a way into his heart and Bill was like a second father to Kirsty, Susan and Martin gave him the freedom to experience fatherhood with Kirsty and he enjoyed every moment of it. When Kirsty started school Bill would take time off work in the school Christmas break to look after her for six weeks while Susan and Martin worked. Bill really enjoyed his job, as he was interested in all things mechanical, working his way to become supervisor as a Qantas Licensed Aircraft Maintenance Engineer. He was a unique employee in many ways, never abusing his role and being a caring friend to his colleagues. Because Bill wasn’t married, he always spoke up to work on Christmas Day so married mates in his crew could spend the day with their families. When Bill retired from work he bought himself a caravan and travelled through most of Queensland and the Northern Territory, South Australia and NSW. He was also keen on photography and took some really lovely photos, especially of the outback. Bill loved researching his family tree, finding cousins in England he didn’t know and has since kept in touch with over the years. Bill did a lot of work on the family tree and at last count there were 7592 people, which is not a bad effort. He was definitely a man of style, being a connoisseur of wines, particularly his favourite red and he loved designer beers, too. Bill loved to read, especially books about sailing ships and aircraft. He had a large collection of wooden model sailing ships that he had built himself. He was very creative and a real handyman, always happy fixing things. If he saw something he liked on TV, he didn’t buy it, he made it! Due to his healthy eating habits, he loved to grow his own vegetables. He also loved his native garden. He loved music, especially classical and jazz, with his favourite jazz singers being Louis Armstrong and Frank Sinatra, just to name a couple. Bill enjoyed listening to and watching Andre Rieu, and was lucky enough to see two of his concerts in Sydney. He did crosswords, Sudoku and also collected stamps and coins. He loved to travel and managed to see so much of our world, visiting New Zealand, Hawaii and most of Europe, along with Singapore. In fact, he managed to visit most of the Western world. Bill’s list of many loves could go on and on, but most of all, he loved and was devoted to his family, with them loving and appreciating the wonderful person he was. Bill was lucky enough to have excellent health, with rarely a cold, until October last year, when he was sadly diagnosed with pancreatic cancer. He maintained his lifestyle until he needed more care, when two months ago his sister Susan moved in with him, so she could give him all the attention he needed. Less than two weeks ago, his health declined rapidly and he was taken to Brisbane Waters Private Hospital where he remained for one week, before being transferred to Peninsular Village. He was a person who never complained, with the nurses having to ask him if he needed any medication – he simply didn’t want to be a bother. Bill was there for only four days, when last Saturday, 12th May, Susan received a call to say that Bill had died peacefully in his sleep. 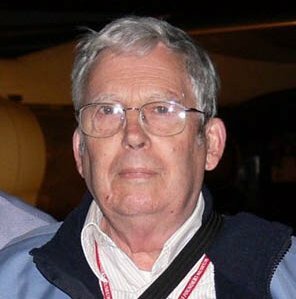 From a personal recollection, I would have first come under Bill's influence in Boeing Servicing section in H131 at Mascot as a 3rd year apprentice in mid 1968, when the crew I was allocated to worked alongside the crew in which Bill was the acting Leading Hand. Bill gained his first licence on the Lockheed Constellation airframe in the late 1950s. At the time I first met Bill he held airframe and engine licences on the Boeing 707. Around early 1971, I was posted to a temporary relief team ("football team" as we were always being kicked around!) to make up crew strengths when others were being trained for the about to arrive Boeing 747-200. So I was posted to Bill's crew for almost a year. He was a quiet but knowledgeable engineer who didn't take risks. He would drill into us younger chaps Arthur Baird's motto that "near enough is not good enough" and so instilled in us his exemplary attitude to his work and his responsibilities. We performed many engine changes on the B707s and B747s, plus many through the night 'A' Checks. We didn't get to do any away engine changes - that went to the "gun" crews but we did our bit back at Base. Bill did do an engine change in Papeete but I had left his crew by then. For licence coverage purposes, I moved to another crew under Eric Favelle, and another two sections, before returning to Bill's crew in 1978 after completing a B747 airframe course. It was an easy transition, having worked for Bill previously, as we both got on well together. During this time Bill was selected to do Supervisor duties (Sub Foreman was the title back then). This teaming in Bill's crew lasted for about 6 years. During this period Bill was selected by Tom Gaunt (Base Servicing Superintendent) to be the recipient of the prototype of a new toolbox trolley. This had design inputs from the crew with Bill insisting we have an engineer's vice on the back. The trolley was made using an old baggage trolley, painted green with a green canvas canopy - which made some of the other crews "green" with envy. The cost of the completed trolley was $1500 and Tom Gaunt hit the roof, refusing to build any more! So Bill had the only one ever made. Funnily, when he retired and was checking out, the Tool Crib wanted the vice returned as it was on his personal charge! About 1984, Bill moved to Sydney International Terminal as "Tango Base" communicator and "Tango 1", co-ordinating all aircraft movements between the Terminal and the Hangars. He took an early retirement offer around 1992 and moved to the Central Coast, closer to his family. We kept in touch via the new facility of email and he would pop in for a cuppa on his annual pilgrimage to the Qantas '49ers Dinner in March each year. I will remember Bill as a dedicated engineer and employee, who treated everyone fairly and maintained a low profile. He didn't hang around the Boss's office like some others did. In my view, he was not only a gentleman, but also a gentle man. When this website was launched in 2005, Bill was one of the earliest contributors. One thing that delights researchers and historians is the luxury of talking to someone who was there. When it comes to Qantas and the Boeing 707, Bill was indeed there when the 707 era began. Not only was he there but he also had an astonishing recall of events fifty years earlier and he could write about his experiences and supply the photographs to illustrate them. Bill was an historian's dream but above all else he was a true gentleman. Bill has provided for us most handsomely with his first hand accounts of the Qantas Boeing 707 era.